During January and February of 2019, I (Architect Michael Riscica from YoungArchitect.com) will be hosting an in-person 10-Week ARE Study Workshop . Drop in or enjoy up to 8 weeks of support with the ARE Sessions Group, and Architect Registration Exam Ninja Michael Riscica AIA. 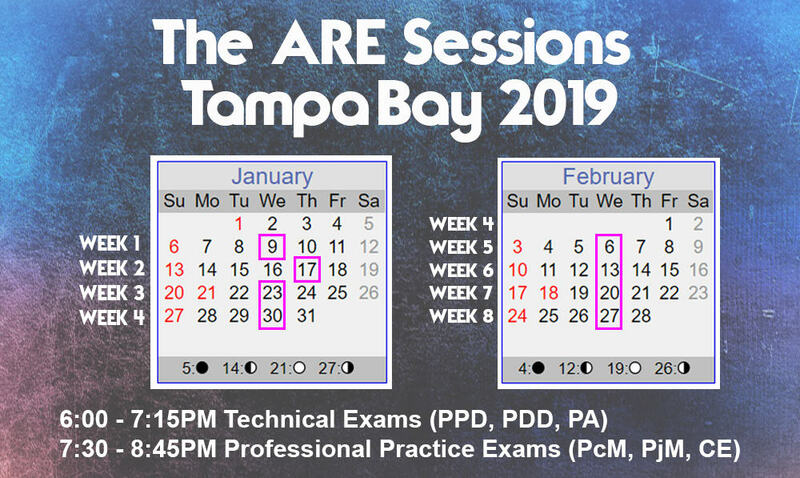 The ARE Sessions will meet weekly for 8 weeks (from 6-8:45 pm), and they’ll be available for anyone studying for the ARE. The Pro-Practice Group consists of people studying for PcM, PjM, and CE. This group is geared towards people who are just starting their studies for their exams. It will meet second or from 7:30 – 8:45pm. The Technical Group consists of people studying for PA, PPD, and PDD. This group is geared towards people who have completed their Pro-Practice exams. It will meet first or from 6 – 7:15pm. Each ARE Session will be $25 for a drop-in. After Week 4, series purchases will no longer be available. For any ARE Boot Camp Alumni, these sessions are available at a 50% discount. Please email [email protected] for details. All RSVP’s will be handled by Eventbrite. I prefer that you pay for the sessions ahead of time on Eventbrite, but you can also pay with cash or a card at the sessions. If you plan to pay at the event. Just show up 10 minutes early. If you purchase the entire series you will be RSVPed to all future meetings. The cutoff for signing up will be at 3:00pm on the day of the lecture. Before you sign up, please ensure that you are already approved by NCARB to take a test. Thank you!